The Dallas Independent School District celebrated School Nutrition Employee Week by honoring five exemplary schools with the annual Heart of Child Nutrition Award. These five schools were recognized for going above and beyond to provide exceptional food and a positive experience to students. Each day last week a director from Food & Child Nutrition Services (FCNS) visited an awarded school to present the certificate and prizes, and put on a hairnet to serve lunch on the cafeteria line. The five winning schools are: Gilliam Collegiate Academy, Anne Frank Elementary School, T.W. Browne Middle School, H.B. Gonzalez Elementary School, and Franklin D. Roosevelt High School. FCNS received over 600 submissions from students, parents, and faculty across the district recommending their favorite employee or team for the award. 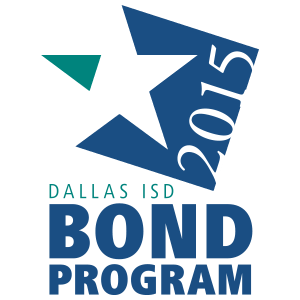 Ninety-eight percent of students in Dallas ISD qualify for free or reduced meals. The dedicated men and women on the cafeteria lines understand the impact nutritious meals can have on these students and in their schools, and none more than this year’s award winners. For H.B. Gonzalez, this was the second consecutive year to be recognized for their hard work. Cafeteria supervisor Patricia Smith attributes her team’s continued success to the constant support, encouragement and common goal that her team members share.